What Constitutes Great Quality NCHMCT Coaching? Home » Hotel Management » What Constitutes Great Quality NCHMCT Coaching? The National Council for Hotel Management and Catering Technology (NCHMCT) (Society) is an autonomous body which was created in 1982 by the Government of India. 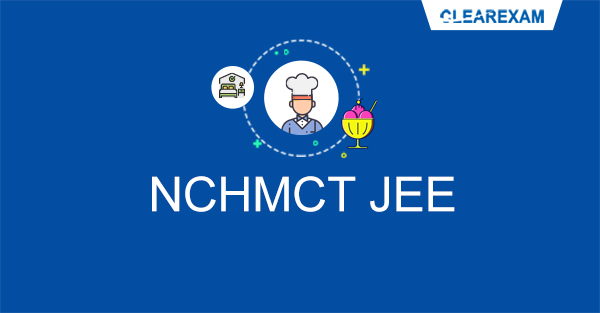 It is the body tasked with conducting the NCHMCT Joint Entrance Exam (NCHMCT JEE) which allows the candidate to take admission in any of the 58 Institutes of Hotel Management which are affiliated with the Council. The 2019 NCHMCT entrance exam will be conducted by the National Testing Agency or NTA which also decides the NCHMCT exam pattern. There are four kinds of participating hotel management institutes affiliated with the Council. There are national institutes, state government institutes, public sector undertaking institutes and private institutes of hotel management. The NCHMCT exam pattern is important to be studied. There are several quality institutes for hotel management coaching in Gurgaon and in Noida which can help the candidate prepare for their NCHMCT exam properly. Such hotel management coaching in Noida and in Gurgaon know the NCHMCT exam pattern and often produce good results through the students. The marking scheme for the NCHMCT exam pattern entails 1 mark for correct answers and a negative marking of 0.25 marks for wrong answers for the Numerical Ability and Analytical Aptitude, Reasoning and Logical Deduction, General Knowledge and Current Affairs and English Language sections. For the Aptitude for Service Sector section the marking scheme is different as more marks are awarded for a more appropriate answer. Here, the most appropriate answer carries one mark, the next one carries 0.75, next to next carries 0.5 and the inappropriate answer carries a negative mark of 0.25. Students have diverse learning styles and methods which help them grasp information better than others. Some people are motivated enough to cover the syllabus all by themselves but there are people who also prefer to have professional guidance. Lot of candidates perform well with the help of institutes offering hotel management coaching in Gurgaon and Noida as a professional help give them a big advantage. A big positive of engaging with an institute offering hotel management coaching in Noida is that it will provide you with professional and expert guidance on a regular basis. Quality coaching institutes often have vetted course material and strict time lines for finishing syllabus that have been tried and tested on previous batches. This helps the student in saving time for procuring material and making a study plan for themselves in terms of the topics that have to be covered and self taught. The institutes offering hotel management coaching in Gurgaon keep you motivated by giving you a vetted structure for the studies coupled with a mentor who can help you get back on track in case you fall behind. The students regularly get expert feedback from the mentors and instructors at the coaching institute thereby strengthening their weak points by receiving suggestions on how to improve them the best. The institutes will help you stay disciplined in your prep as many mentors require constant updates and progress reports with respect to the portion of practice material completed. For people who have difficulty managing time, institutes offering hotel management coaching in Noida will help you cover these topics in a timely manner which is a big boon considering that most of the candidates will be managing their Class XI and XII studies along with their exam prep in light of the NCHMCT exam pattern. The instructors provide you with crucial time management skills and essential tricks which are pivotal to cracking the exam. The experienced mentors cover critical concepts and topics in a detailed manner which would otherwise take long hours for the student to study themselves. These conceptual classes are often followed by classroom discussions and doubt clearing sessions which can prove to be monumental in gaining clarity as all students come up with different doubts which can help you understand that concept even better. A huge disadvantage with self study is that it relies solely on the students' will power and motivation. If you start to lose your determination and self discipline ultimately reducing the daily amount of time spent on this, then your performance will digress substantially. Institute offering hotel management coaching in Gurgaon and in Noida are well versed with the NCHMCT exam pattern and hence are a good fit. I personally feel that if a student strategizes and plans out their study calendar smartly, they can crack this exam in one go without having the need to drop one year. I would like to clarify that I do not think there is anything wrong with dropping a year, but if you can, then you should put in all your efforts in the first go and crack it. Knowing the NCHMCT exam pattern thoroughly is important. As previously stated, the institutes offering hotel management coaching in Noida and Gurgaon will also provide you with the crucial time management skills and essential tactics needed to attempt the paper smartly so that maximum efficiency can be achieved. If you are determined enough then you don’t have to worry. Be sincere and dedicated in working towards your goal, study hard and study smart, your result will undoubtedly show all the efforts you have put in! Law, Management & Hotel Management Exam Preparation | Clear Law Entrance: What Constitutes Great Quality NCHMCT Coaching?